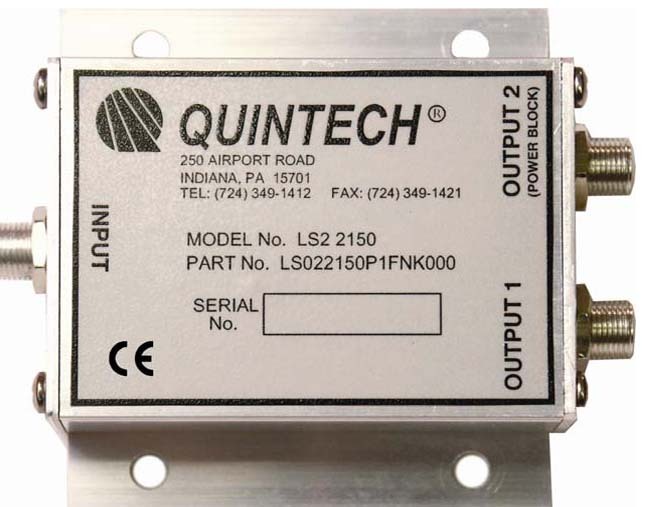 The LS022150P1FNK000 is a commercial quality passive splitter that meets strict level, match, and loss specifications achieved through the use of Quintech’s proprietary microstrip and SMT technology. It operates over the 950-2150 MHz range and enables the splitting of RF signals with repeatable performance over the entire frequency range and across all I/O ports. It passes power on output 1 to accommodate the power requirements of LNAs, LNBs, and/or BDCs from a specified receiver in the multiple receiver chain. Output 2 is DC blocked.